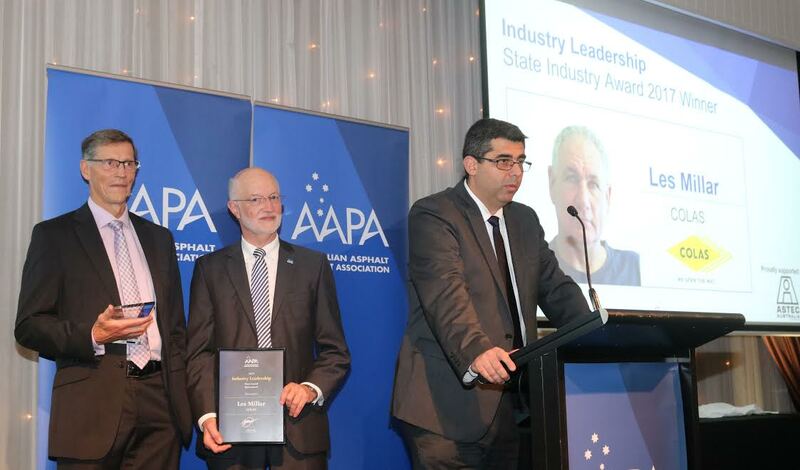 Congratulations to the 2017 AAPA Queensland State Industry Award Winners. 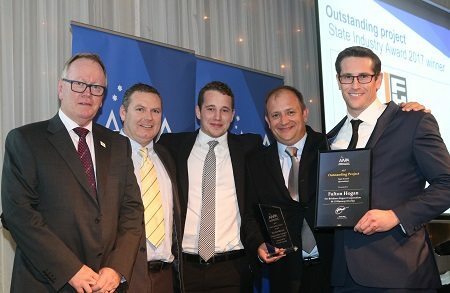 Recently over 160 members and their partners from the flexible pavements Industry came together for the Annual Queensland State Gala Dinner and Industry Awards. Congratulations to the 2017 Queensland Safety Initiative Award winner Keith Johnson from Fulton Hogan. 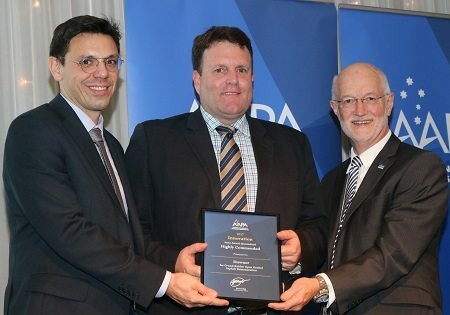 Neil Scales, Director General TRANSPORT & MAIN ROADS, Keith Johnson FULTON HOGAN, Robert Vos AAPA. Thank you to the 2017 Safety Initiative Award Supporter Queensland Department of Transport and Main Roads. Congratulations to the 2017 Queensland Emerging Leader Award winner Paul Horn from Boral. James Pennings ALTUS TRAFFIC, Paul Horn BORAL, Robert Vos AAPA. 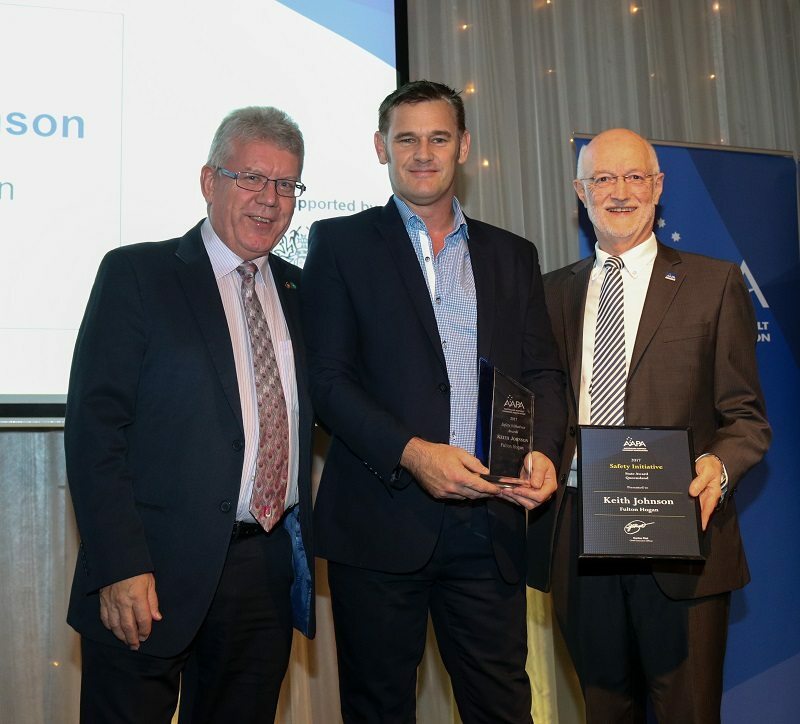 Congratulations to the Queensland Fulton Hogan Team for taking out the Outstanding Project Award for the Brisbane Airport Corporation 01.19 Runway Overlay. Kevin McCullough COLAS, Brendan Cole and the airport team FULTON HOGAN. Congratulations to the Queensland Fulton Hogan Team for taking out a Highly Commended for Outstanding Project. 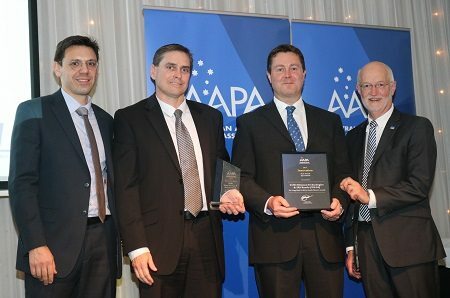 Kevin McCullough COLAS, Alister Clarke and Dr Laszlo Petho FULTON HOGAN, Robert Vos AAPA. 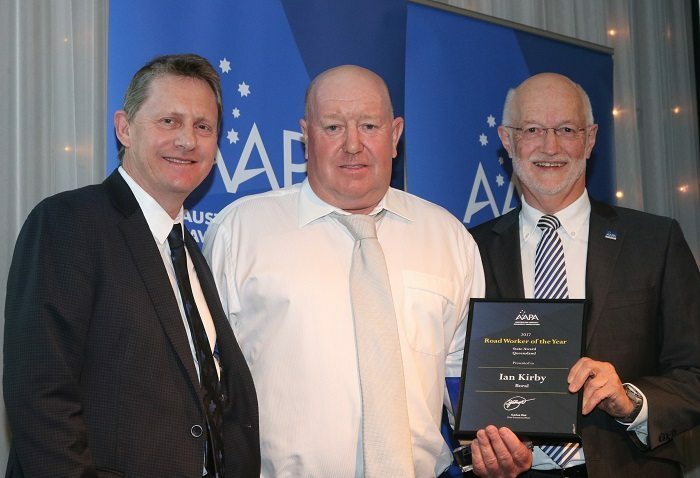 Congratulations to the 2017 Queensland Road Worker of the Year Ian Kirby from Boral. 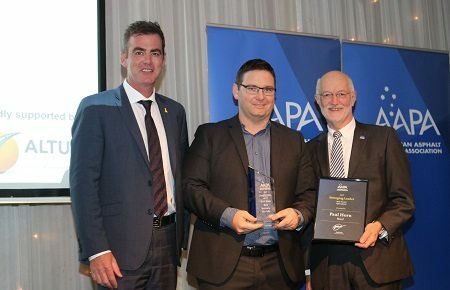 Rob McGuire BORAL & Board Chair, Ian Kirby BORAL, Robert Vos AAPA. Thank you to the 2017 Road Worker of the Year Award Supporter Boral. Congratulations to Sami Bitumen Technologies on taking out the Queensland Innovation in Design, Process or Product Award for the Long Haul S1.8R for South Western reseals. 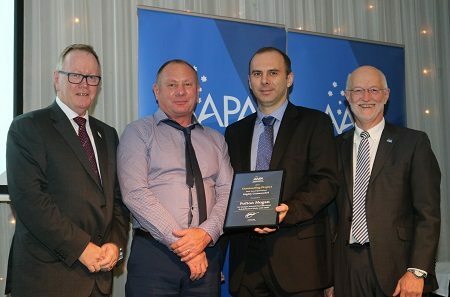 Sebastien Chatard and Cameron Nisbett SAMI BITUMEN TECHNOLOGIES, Jason Williams COLAS QUEENSLAND, Robert Vos AAPA. Congratulations to the Queensland Downer Team on taking out a Highly Commended Certificate for Innovation in Design, Process or Product. Sebastien Chatard SAMI BITUMEN TECHNOLOGIES, Evan Boone DOWNER, Robert Vos AAPA. Congratulations to Les Millar from Colas on taking out the 2017 Queensland Industry Leadership Award! Les Millar COLAS, Robert Vos AAPA, and AAPA CEO Carlos Rial.